I didn’t know what to say. It’s true many of my signature parodies lampoon aging. “My Hair Keeps a Fallin’ From My Head” says “It won’t be long before a big old nurse puts Depends on me.” Or the Bob Seger routine that begins “Just take that Ben Gay off the shelf, I rub it up and down all over myself These old joints ain’t got the same pull, but this Old Timer Rock and Rolls!” This Bob Seger routine (where he goes on to talk about his the new line of walkers from Harley Davidson “with genuine leather saddlebags, where you can hide your donuts from your nurse, if you’re rebel like me”) was inspired by an appearance several years ago he made on the David Letterman Show. 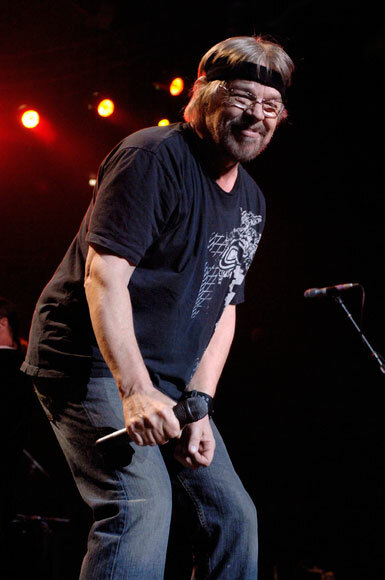 The 64 year old leader of the Silver Mullet band appeared on stage that night with holes in his jeans, a torn t-shirt, a cool goatee, and made a geriatric stomp through a song from his new album with an act that looked more like a Viagra commercial than a rock show.